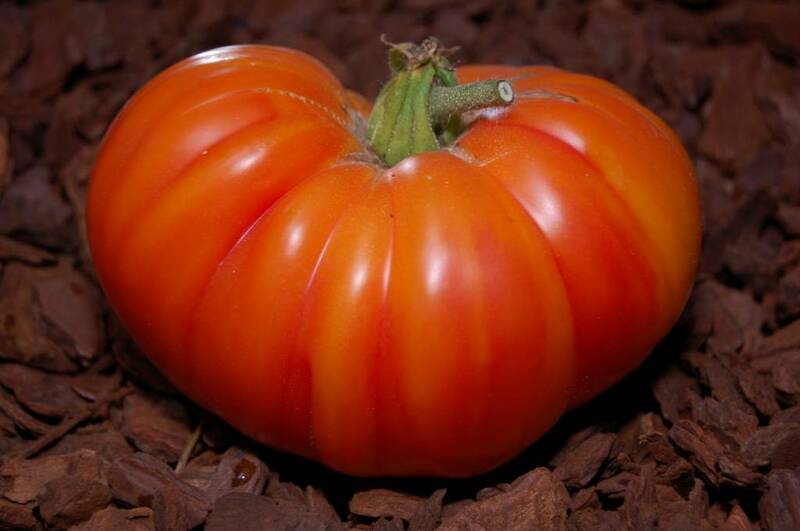 Heirloom from the USA also known as "Ruby Gold Tomato". 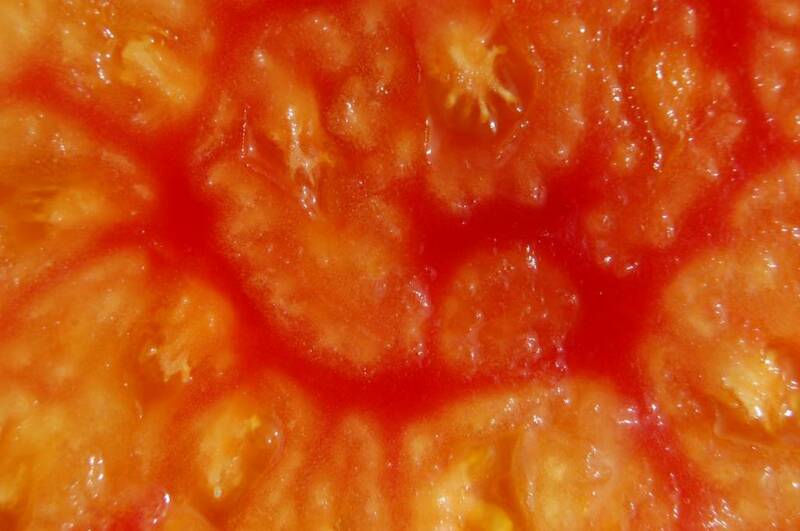 Beefsteak type fruits from 200 to 500 grams, flattened and strongly ribbed on its upper half with plump shoulders. 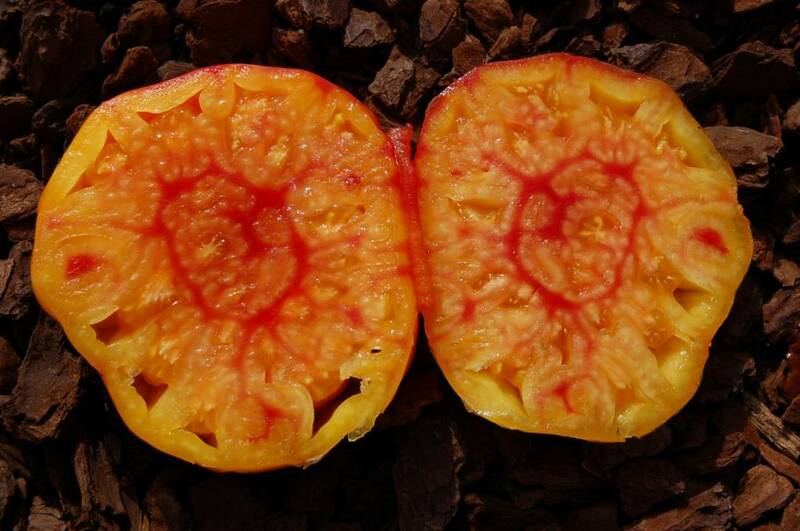 Bicolor yellow-orange and red skin. 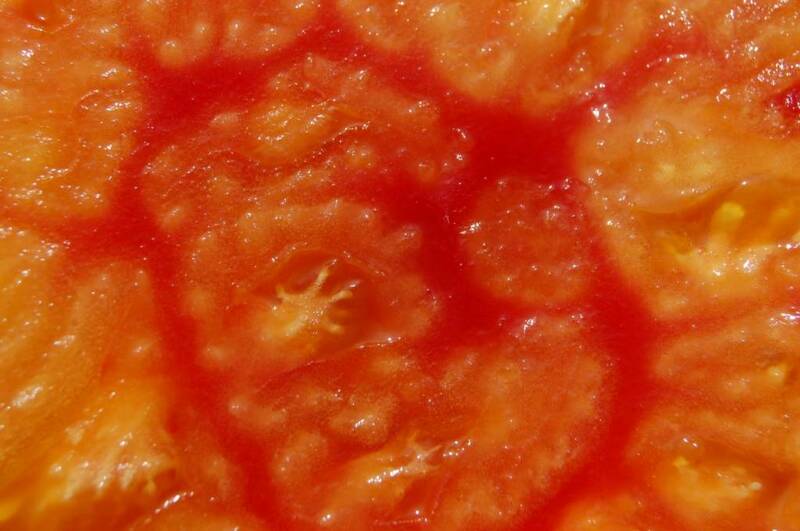 Orange-yellow beefsteak flesh marbled with red. Juicy and dense meat. Very good taste, sweet with a hint of bitterness. Moderate production in the second half of the season.